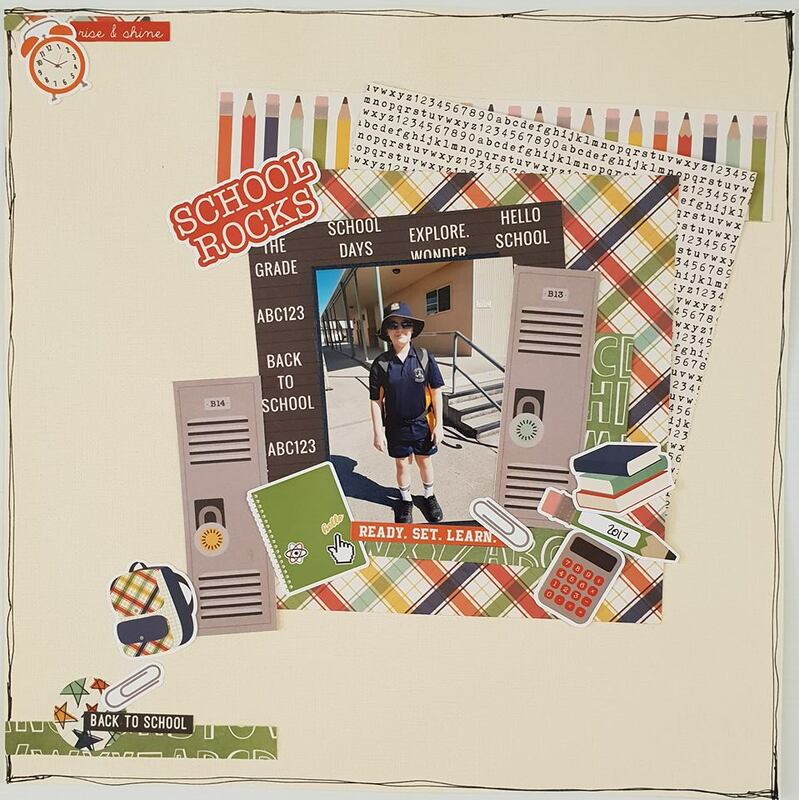 I have a lot of school scrapbooking to catch up on so when I saw the new school range from Simple Stories called School Rocks I just had to grab it so I could get some of the layouts done. 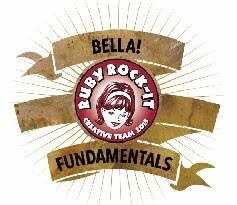 Today I have a process video for you of my doing 3 layouts with this collection kit. 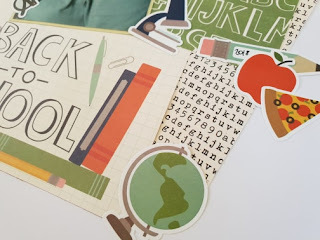 I start the video by showing you the supplies and photos I have and talking about how I might use the supplies and how even the supplies are helping prompt memories I need to record. 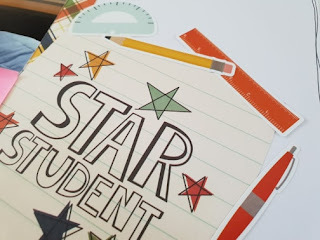 Items used in this project include. 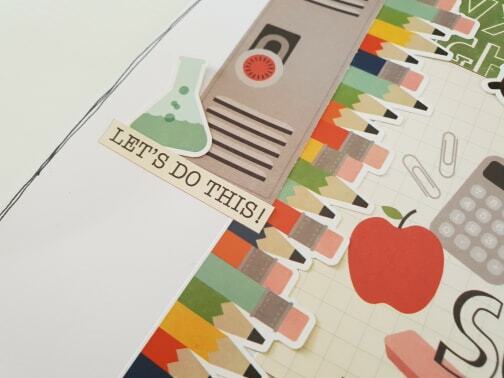 I am loving the journal/title cards from the cut aparts and the the cute stickers in this range. They helped me smash out my layouts really quickly. I cut the locker card into the 3 lockers so I would have plenty of lockers for my high school scrapping. I used the zip strips from the papers to help build layers on all 3 layouts. Using a sheet of Straw Cardstock really helping this layout pop. 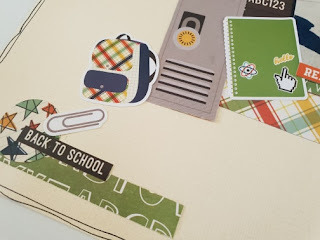 I absolutely loved this border sticker from the moment I saw it on the website and just had to use it as a focal point on a layout. It really helped this layout come together quickly by staring with the border sticker and just pressing down the straight edge so I could tuck things in as I built the layout. This pencil sticker for my date in this cluster was the perfect shade to match Mr C's shirt so I selected it to kind of add to the feeling that this layout was about his first day of the school year. 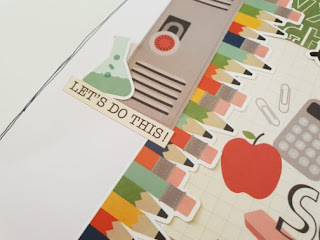 I loved that the sticker sheet included a few science pieces and math pieces in addition to the regular school stuff. It helped with the high school theme but also the distance ed theme as we do a lot of science in this house now. 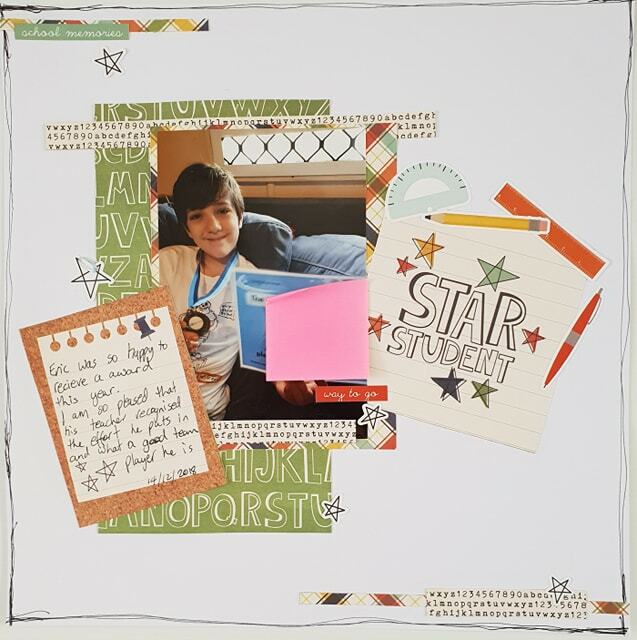 I love how my layouts turned out and that the supplies have prompted me to think of several other memories I need to record. 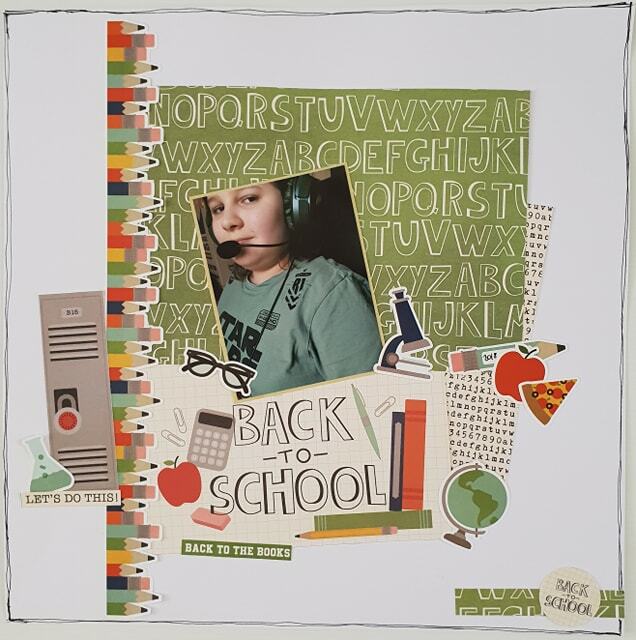 Why don't you check out what school themed supplies CraftOnline has and get some school scrapping done? It is a fun theme to scrap in my experience.